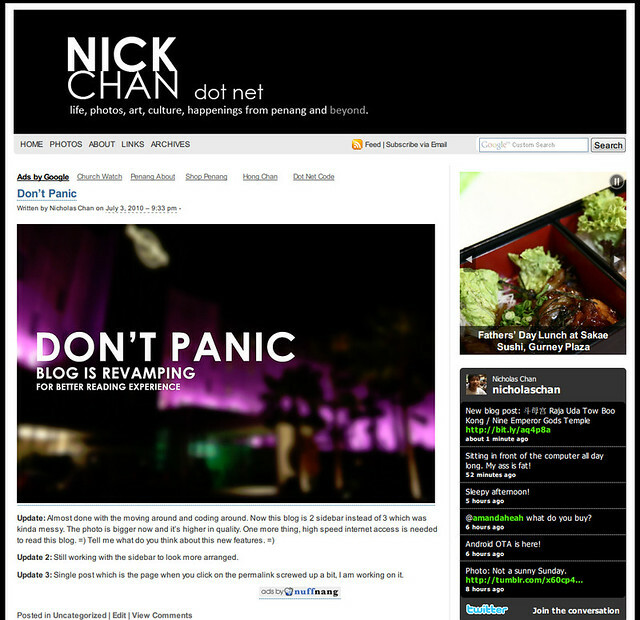 Hello reader, Nick Chan Dot Net has finally changed the alignment of the blog a bit. The significance change is the 3 columns blog template to 2 columns and another thing is you will notice larger photos and videos. The sidebar is more arranged right now. Hope you guys like it and this blog is only for high speed internet user, slow dial-up or 384k is definitely not good for reading.